Electric Avenue: Will GM pull the plug on the Volt? Having already screwed up its past, with its present hanging in the balance, General Motors today banged a nail in the coffin of its future. GM is holding off on building the plant that was to build the engines for its new electric car, the Volt, which had been slated for debut in 2010. Nonetheless, Basel insisted that this would in no way impede the company's progress into the electric car market. “We have lots of options. 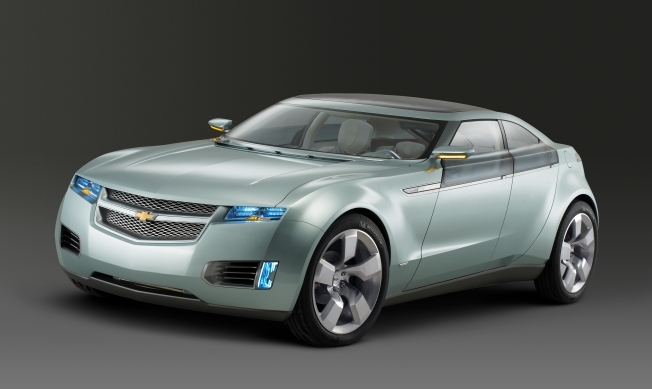 The construction of the new plant is not going to interrupt our plans for the Volt or Cruze,” Basel said. The Volt was supposed to be the next leap forward in automotive technology, and help the country curtail its oil addiction and the folly of corn-based ethanol. That remains to be seen. In the wake of the government's bailout of Chrysler in 1979, things at the Big Three was so bad that they became fodder for funnyman Michael Keaton in the 1986 classic "Gung Ho." Twenty-two years later, the Big Three are again teetering on the brink.